Having up-to-date tools is essential for any blogger as blogging is a very dynamic occupation. Blogger is always on the run, but must have an opportunity to check the current state of their blog because their popularity and earnings depend on the number of “likes” and “shares.” Here we offer several must-have gadgets and widgets to boost your blogging career. The job of a blogger requires you to stay in touch with your audience 24/7. It means that you need a portable gadget to be able to track its reaction on the content you post and answer to its questions regularly. Laptops or netbooks are the classical gadgets used by bloggers. A laptop or a netbook is an excellent solution because you can make your blog posts and write articles easily. However, a laptop is heavy, so a netbook is a better choice in this respect because it is smaller and you can easily carry it wherever you go. You can work at any place where you can find Wi-Fi. However, there is no need to buy a laptop or netbook if you run a video blog.All you need is a smartphone or camera to make videos and then post them on your blog. This job becomes even easier with the development of modern technologies. There is no need to buy an expensive laptop or netbook on the rise of your career. You can buy a gadget for your basic needs unless your job requires working with the art elements (graphics, video processing). You can opt for 15″ or 17″ for the beginning or buy a 10″ netbook. 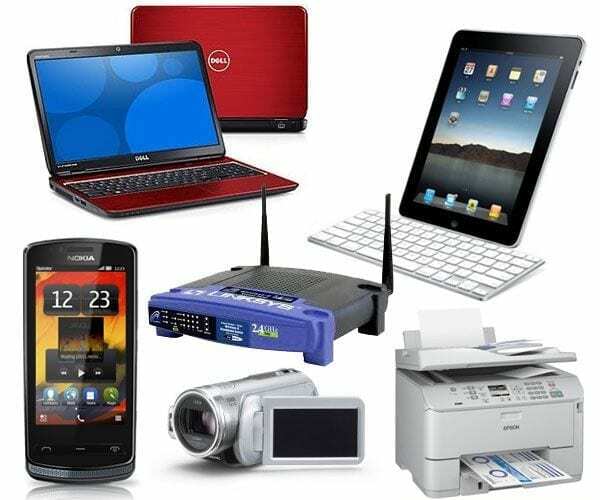 Apple, Asus or Dell are the most preferable gadgets for the purposes of any blogger. For example, a 13″ MacBook Pro is a good choice. For popular bloggers, the best recommendation is to purchase a laptop with RAM (2GB) and the latest processor. Basically, your choice depends on your budget. External Hard-Drive is a must-have gadget for every professional blogger. This is a gadget of the second importance after a laptop. Certainly, there are a lot of cloud services on the internet offering free storage space for your materials. However, a password can be hacked one day and your precious data can be lost. So, keep this in mind and don’t rely too much on cloud storage. Use of portable apps, such as Antivirus, Portable or Ultrasurf, can help keep your data in the safe place. Here are several options you may wish to purchase to boost your blogging career: Transcend, Seagate or WD. Blogging is impossible without an access to the internet: a blogger needs to access the internet daily to be in touch withtheir audience. One of the options currently available in the market is a wireless router produced by Belkin company. Having a backup internet is an excellent solution as well. If you have iPad or iPhone, you can use internet tethering to share internet connection. Having wireless internet will free you from having wire everywhere at home or in the office. Popular Posts Widget is one of the most commonly used blogger widgets available now. This widget can be added with the help of Thumbnail and Auto Numbering functions. Popular Posts Widget offers an option of customization using CSS function. Thumbnail is more a popular than this widget. This is the reason why Popular Posts Widget is recommended for use along with Thumbnail to improve your blog. Popup Like Box Widget for Facebook is in trend now! It helps to increase blog traffic and attract target audience easily. The increased number of targeted visitors guarantees higher conversion rate. Also, it makes positive impact on the retention rate: more people stay subscribed to your blog for a long period of time. If your target is to increase the number of likes, you can promote your blog among the current users. For example, you can place a link in a blog post like this: find the best essay writing service. This will help to get more likes from your visitors. When you add the Popup Like Box, you will receive more likes as well. You may look through a tutorial about Facebook Popup Like Box for bloggers. Social media takes an essential place in promoting a blog. In order to effectively promote your blog on social media, you need to create an attractive social media icons widget. You don’t need any special skills to create these icons, you just need to have basic programming knowledge, a laptop, and an understandable tutorial. There are several samples of how icons can be designed. You can browse the internet to find them because new tech solutions emerge every day. You need to check the current options available to stay in trend and encourage your target audience to visit your blog more often. It’s important to keep your audience involved with the help of social media because it helps establish a long-term relationship with your existing and potential customers. We really hope that this review will make your job easier and you will become more successful in your blogging career.